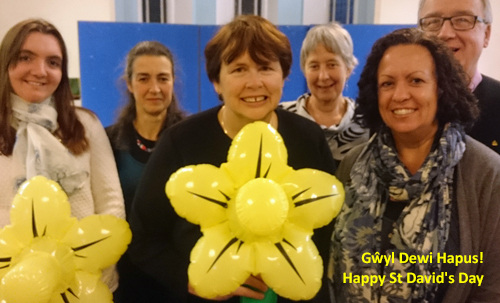 Happy St David's Day from the Garth Seasonal Staff Choir! The Garth choir has recorded a special song for St David’s Day – Calon Lan (click to listen) – and will be singing on the wards later this month. The Garth choir is open to all NHS staff, students and supporters.